As you read this, remember this saga begins with a group of bankers, now led by Richard Kovacevich & Wells Fargo Bank, NA. making death threats toward Don Mashak. Then MN US District Attorney, David Lillehaug (then also Campaign Finance Manager for a now dead Senator) accepted bribes, Campaign Contributions & other consideration to not prosecute the bank conspirators. Rather than lash out of anger, Don Mashak calmly & rationally sought to exercise his Natural Right to Petition the Government for Redress of Grievances without fear of punishment or reprisal as reduced to writing in the First Amendment. This particular litigation deals with the weaponized IRS’s involvement in punishing Mashak for exercising his Natural & Constitutional Rights. Wells Fargo Bank, NA has stolen millions of dollars from millions of Americans. (see the partial list in the litigation exhibits), yet no one has gone to jail. Don Mashak asserts that the witness tampering, bribes & Progressive Rule of Man he experienced were utilized in this other Wells Fargo Bank, NA. crimes in which no one went jail. So damning is the evidence you will see here a Judge Lie under oath to make sure no jury ever hears these matter’s. Efforts to unseal court records are crushed. Althought it is every citizen’s right to know the charges & evidence againt them,Mashak hasn;t been charged nor allowed to see the Fake COINTRELPRO Dossier against him because they know Mashak would dispatch them in short order… The rumors serve their purpose. (Don Mashak has never been charged with anything more than a minor traffic ticket & a bogus “Disorderly Conduct” by a judge trying to prevent Mashak from reporting on his corruption… & that was dismissed for lack of probable Cause) As you see in this litigation, I have asked to see these COINTELPRO records & the Court killed the case rather than risk my forcing these records to be produced. Should you come across any adverse information about Don Mashak, Please Contact Don Mashak with names & sources of any such persons or websites so Mashak can exercise his unalienable Natural Right to know the alleged crimes he is accused of, his alleged accusers and the alleged evidence against him. Of Course, from time to time your government has people contact me to remind me their COINTELPRO operation against me will end, if I just shut up. This is the true nature of our current government. A judge lying under oath, is just a small taste of the criminal acts of government to protect bankers & the wealthy from accountability for their criminal acts. This case would lay open the layer upon layer of lies, fraud & deciet our government engaged in to protect this particular banking conspiracy now led by Wells Fargo Bank, NA. Before Plaintiff’s go any further, Plaintiff’s again request that First National Repossessors, Inc be removed from this litigation. If there is some special form required to do this, please provide it. I have been unable to locate anything in the rules to that effect. “I respectfully request an extension of time to respond and/or comply with the 20-day deadline from the date of the Court’s Order of September 27, 2018. I request to extend that deadline to November 8, 2018. Now Plaintiff’s really shouldn’t have to write any more to successfully oppose the December 4, 2018 Report and Recommendations, but the Court seems hell-bent to revent the facts that will be embarrassing to the Judiciary and American legal System from coming being made public on the official record. It is attitudes and practices like this that will bring Europe’s Yellow Vest Revolt to America. Mashak has addressed the issues in the Report and Recommendations Physical Paragraph by Physical paragraph because that was the easiest way to keep track of the errors and misrepresentations. I trust that to a jury this is BLACK LETTER LAW and PRIMA FACIA EVIDENCE of the error/lie. This makes Paragraph 2 moot, as it is based on upon the error/lie. I trust we don’t have to parse the meaning of the logical operand “and/or” as most of WE THE PEOPLE understand its meaning. Again, the Report and Recommendation is based upon an error/lie. While in the course of researching the issue, Plaintiff Mashak discovered that the additional fees would go far beyond the filing fees, but would require paying a lawyer and “motion fees” etc. Plaintiff Mashak determined, that sans the Court believing Unalienable Natural and Constitution Right issues merit using its wide discretion to make provisions consistent with upholding its oath to protect and defend the Constitution, removing the corporation from the litigation was the best course of action. To repeat, the Report and Recommendation is predicated on yet another error/lie. With regard to Paragraph 4, I will put this in terms the masses will understand. The primary purpose of American government is to protect the UNALIENABLE NATURAL & CONSTITUTIONAL RIGHTS of the Individual from trespasses by others. The Court asserts that “The Court is not free to disregard the plain language of the IFP statute”. It is common knowledge that President Obama weaponized the IRS, (represented by Defendant Commission of Internal Revenue) to retaliate and punish those who opposed him and the Progressive Insurgency. 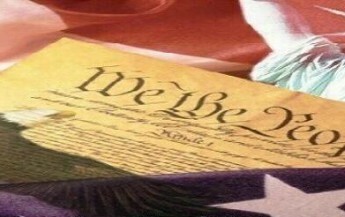 Clearly, the Natural Rights to Free Speech and particularly to Petition the Government for Redress of Grievances without fear of punishment or reprisal, as reduced to writing in the First Amendment, are UNALIENABLE RIGHTS that the government and these Courts are bound by oath and Constitution to protect. Apparently, the Court is arguing the Government is free to use the IRS is free to punish Plaintiff Mashak for exercising his Natural Rights reduced to writing in the First Amendment, by attacking his corporation thus requiring Mashak to spend huge amounts of money. Such an argument is folly and promotes injustice. The Progressive Insurgency, for example, will attack their opponents through their opponents’ corporations creating great hardship to the individual to protect his UNALIENABLE NATURAL RIGHTS. Protecting every Individuals Unalienable Rights is the obligation of the government and the Courts. [Mashak was a Cofounder of the MN NorthStar TEA Party Patriots (Exhibit 1) [All Exhibits at End of Document] , a Leader in the Judicial TAR (Transparency, Accountability and Reform) Movement which sought hearing before Judiciary Committees of the Minnesota House and Senate (Exhibit 4), And tried to expose election fraud as an Election Judge in the Relevant time frame(Exhibit 5),] What the Courts are saying essentially is that the Court Rules or Directions from the Supreme Court can in fact alienate the Unalienable Natural Rights of the Individual. This just isn’t so. Plaintiffs remind the Court that they took an oath to protect and defend the Constitution of the United States. punish and retaliate those who exercise their Unalienable Right to dissent makes this matter a Constitutional issue and evinces Plaintiff Mashak assertion of a seditious and treasonous Progressive Insurgency/Conspiracy. Again, this Court took an oath to uphold the Constitution, but allows this gross violation of the Constitution to occur citing far subordinate rules and rulings as reasons and/or excuses. “Even if Plaintiff’s were eligible for IFP status, this Court would recommend dismissal of the action. See 28 USC $ 1915(e)(2)(B). The complaint filed in this action is nearly impossible to follow, full of irrelevances and invective and in many respects frivolous. First, error/lie: Mashak is in fact eligible for IFP status. Secondly, this is a Constitutional matter regarding the alienation of Mashak’s and the masses Unalienable Natural Rights to Free Speech and to Petition the Government for Redress of Grievances without fear of punishment or reprisal, as reduced to writing in the First Amendment. It is common knowledge Obama weaponized the IRS against those who opposed him and the Progressive Insurgency. This is clearly unconstitutional yet no one in government or the Courts took action to uphold the Constitution. Prednisone in many persons is inference with mental abilities and the ability to concentrate. Plaintiff Mashak has only been off the Prednisone for about a month now, and it takes some time for the side effects to dissipate. Further, this Conspiracy against Rights and attempts against his life, cause Mashak to suffer from PTSD, which further interferes with his ability to concentrate, especially when dealing directly with matters related to the cause of his PTSD. Plaintiff Mashak filed the Complaint to comply with deadlines he believed existed. It would be improper and unjust to dismiss this matter until Plaintiff had Amend it as he indicated in the original complaint, without being adversely affected by Prednisone. Rather than react through violence, Mashak contained his anger and attempted to Petition the Government for Redress of Grievances with little success. 6. From 2004 to present (14 years) the Minnesota House and Senate Judiciary Committees have refused to hold a hearing dedicated to allowing Minnesotans to give evidence and testimony of systemic corruption in the Minnesota Courts. 8. From about 2008 to 2011, Mashak was a Cofounder of the Minnesota NorthStar Tea Party Patriots and led them to declare “Judicial Accountability and Reform” as their number one action item in 2011. 11. Mashak asserts that this punishment and retaliation for exercising his Natural Right to Petition the Government for Redress of Grievances without fear of punishment or reprisal, as reduced to writing in the First Amendment, violates his unalienable Natural Rights and constitutes a Conspiracy against his Rights. 12. The Obama weaponized IRS purposely have Mashak bad information, and refused to answer his questions so he could timely file the Corporations taxes. 13. Having been advised if the Corporation owed no tax, there would be no penalty for late filing, conjoined with his Doctors orders to avoid stress, Mashak would try each year to obtain the information, but would cease when the attempts became too stressful. The IRS then slapped First National Repossessors, Inc with fines and penalties for late filing. Plaintiff asserts that none of this summary of his case is irrelevant, invective nor frivolous. Mashak asserts that the Court labeling it such is merely an attempt to prevent the facts and truth from become widely known as part of the official record thus embarrassing many in government and the Judiciary and revealing the true nature of our government and Judiciary. Simply, the Court is also trying to avoid the unsealing of the Court records > Hennepin County Court Cases Bank North vs 1st National Bank of Anoka, NA is 27CV88-22383, Citizens State Bank of St. Louis Park vs. 1st National Bank of Anoka, NA 91-002759, because they corroborate the Mashak’s original allegations and motivations of Mashak and the Bank Conspirators. Clearly, this Court has reviewed those files and realize what a bomb shell they represent. Clearly, MN US Attorney General Lillehaug departed from the Rule of Law and substituted the Rule of Man induced by bribes and other consideration. Let us summarize some of Mashak’s losses as a result of this conspiracy to obstruct justice, just to put in all in perspective. C) Mashak’s involvement in the TEA Party Movement and his success in promoting the Judicial Reform issue through that platform. D) Mashak’s attempts to bring attention to Election fraud as an election judge. Clearly, each of these represent legal activities of Mashak in seeking Redress of Grievances from the Government. There is no legal, legitimate nor constitutional reason for anyone seeking to punish and retaliate Mashak for engaging in these pursuits. The fact of the matter is that some of the crimes committed against Mashak constitute Conspiracy to Obstruct Justice, Conspiracy against Rights, Sedition and Treason. requests to government agencies for the content of this fake COINTELPRO Dossier go unanswered or denied. As Mashak has alleged it, a Judge in keeping with their oath to uphold the Constitution would make inquiries into such matters. Mashak can only presume to infer from this failure to take action that the Court does not place a priority on the Unalienable Natural Rights of Citizens, protecting witnesses that testify in their courts despite witness tampering that has escalated to death threats and their oath of office to uphold the Constitution. With regard to physical paragraph 6, we have partially covered this previously. But to reiterate, Mashak asserts the Court looked at the sealed files. Mashak asserts that the Court Found the sealed litigations reflect Mashak’s allegations and demonstrated that a gross injustice occurred. Mashak asserts those sealed files provide the motive for the witness tampering that escalated to death threats that were directed at Mashak. Mashak asserts the Court does not want these records made public because it will prove Mashak’s case and be extremely embarrassing to the conspirators. Using the reasonable man standard, any average citizen can look at Wells Fargo Bank, NA stealing millions of dollars from millions of citizens and no one going to jail and realize that justice was not done. (Exhibit 2) Any average citizen sitting on a jury will come to the conclusion that the witness tampering, bribes and other consideration that happened to Mashak likely also occurred in those other Wells Fargo Bank, NA crimes for which no one went to jail. Finally, since the Dismissal for Failure to Prosecute is fabricated on lies or omissions, it was a fabrication to dismiss the case and prevent Mashak from appealing. Therefore, if this dismissal is upheld, Mashak will in fact appeal to the Eighth District Court of Appeals arguing that the dismissal was based on considerations other than “Failure to Prosecute and the rule of Law, and therefore actually is an appealable order and/or judgement. Virtually every finding relevant to “Failure to Prosecute” was an error, lie or misrepresentation, therefore the dismissal “For Failure to Prosecute” is itself an error, lie or misrepresentation. The lies/errors now dispatched, the only remaining “reason for dismissal” is the Courts footnote on page 2 is, in fact, the only remaining basis for dismissal and it constitutes a judgement and/or order of the Court. That footnote required the judge to weigh the facts, a duty reserved for the jury and therefore, what remains is this Report and Summary is order and/or judgement. As Plaintiff Mashak has dispatched the basis for the dismissal for “Failure to Prosecute” as wholly founded on errors and/or lies, if this Court subscribes to the Rule of Law, it has no choice but to allow this litigation to proceed sans First National Repossessors, Inc, with Mashak the sole litigant and qualified for IFP status. Equity, Justice and the Courts’ oath of office demand that this litigation be allowed to proceed no how embarrassing it may be to the conspirators. Mashak is confident that if this dismissal is not rescinded, it will form a basis for other citizens to move to withdraw their Consent to be Governed, perhaps in the form of joining Europe’s Yellow Vest Movement. LETTER AGAIN REASSERTING DIRECTION TO REMOVE FIRST NATIONAL REPOSSESSORS, INC AS A PLAINTIFF IN THIS LITIGATION. Plaintiffs again request that First National Repossessors, Inc be removed from this litigation. If there is some special form required to do this, please provide it. Plaintiff Mashak has been unable to find any such required document in the Rules. The Court has erroneously stated in its Report and Recommendation that First National Repossessors, Inc. remains a Plaintiff in this matter. That any Exhibits included in said brief and Memorandum are true and correct copies. Of First National Repossessors, Inc.
RE: First Amendment Right to Petition the Government for Redress of Grievances without fear of Punishment or Reprisal; Hearing dedicated to Minnesotans giving testimony and evidence of systemic corruption in the Minnesota Judiciary before any and all House and Senate Judiciary Committees . Every year since 2005 a loose coalition of individuals and groups I will refer to as the Judicial TAR (Transparency, Accountability and Reform) Movement, have asked Committees of the Minnesota Legislature for hearings. Specifically, WE THE PEOPLE have asked for hearing before the respective Minnesota House and Senate Judiciary Committees; These hearings to be dedicated to receiving evidence and testimony of corruption in the Minnesota Judiciary. This communication once again acts for said hearings in 2016. It became necessary to ask for a hearing dedicated for this purpose because of various State of Minnesota methods and strategies that effectively prevented our testimony and evidence from getting on the OFFICIAL LEGISLATIVE RECORD. Amongst these techniques and strategies were not informing us of hearings, Mis-Naming Hearings, having the hearings heard before a different legislative committee, last minute cancellation of hearings, providing us wrong dates, times and locations of hearings, last minute changing of the dates, times and locations of hearings, last minute cancelation of hearings, and my personal favorite, letting meetings run long and allowing only 5-10 minutes for testimony and evidence from 10, 20 and more persons wishing to give evidence and testimony. And then, alternating “Pro” and “Con” testifiers so the OFFICIAL LEGISLATIVE RECORD would incorrectly give the appearance that an equal number of persons, “Pro” and “Con” were present. I remind you once again that the Natural Right to Petition the Government for Redress of Grievances without fear of punishment or reprisal, is an unalienable Natural Right reduced to writing in First Amendment of the US Constitution. What’s more, you folks have went on to engage in unlawful and unconstitutional reprisal and retaliation against the leaders and main voices of the Judicial TAR Movement. You have engaged in activities such as blacklisting, Blackmail, Extortion, Deprivation of Representation, Due Process and the Rule of Law, as well as FBI COINTELPRO style operations. Your unlawful and unconstitutional reprisal and retaliation has wrongfully destroyed careers, businesses, reputations and lives of Minnesotans who merely wanted to exercise their Natural and Constitutional Rights. So severe has your wrongful retribution and reprisal been that some members of the Judicial TAR Movement have fled the State and at least one has left the Country to escape your torments. Evil would seem to be the appropriate label for your actions to date by virtue of your actions in actively maintaining the corruption in the Minnesota Judiciary and failing to represent your constituents. I once again request said hearing dedicated to receiving evidence and testimony in the Minnesota Courts. I do this as a means of documenting WE THE PEOPLE have properly given NOTICE of our suffering a long train of abuses at the hands of our government. This in compliance with the road map our Founders provided us for dealing with tyranny in the First Declaration of Causes, Declaration of Independence, Constitution, and the Federalist and Anti-Federalist Papers(See also Natural Law and Natural Rights of Man). Such NOTICE being required, in this matter and other matters, before WE THE PEOPLE can rightfully declare our peaceful remedies exhausted.. In the past, you have been so arrogant as to not even respond to my annual requests and/or the annual requests of others for said hearing. You seem to have forgotten the Founders prescribed your role as that of civil servants. You seem to forget your oaths of office to defend and support the Constitution. Your arrogance approaches that of King George.